Home › Toys › Wonder Playball Non-Toxic 200 Phthalate Free Crush Proof Pit Balls Red Orange..
Wonder Playball Non-Toxic 200 Phthalate Free Crush Proof Pit Balls Red Orange..
Set of 200 Wonder Playbills in 6 vibrant colors: Red, Orange, Yellow, Green, Blue and Purple. Comes with durable and environmentally safe mesh bag perfect for storage and portability. Each ball measures 6.5cm (2.5 inches) designed to fit a child's hand without being too big or too small. Made from non-toxic material, non-recycled & non-PVC plastic, BPA free, phthalate free and lead free. Crush-proof Wonder Playbills are designed to withstand ~150lbs that is strong enough for adult and soft enough for children. All other products are sold separately. We recommend 400 to 600 Wonder Playbills for most ball pits. 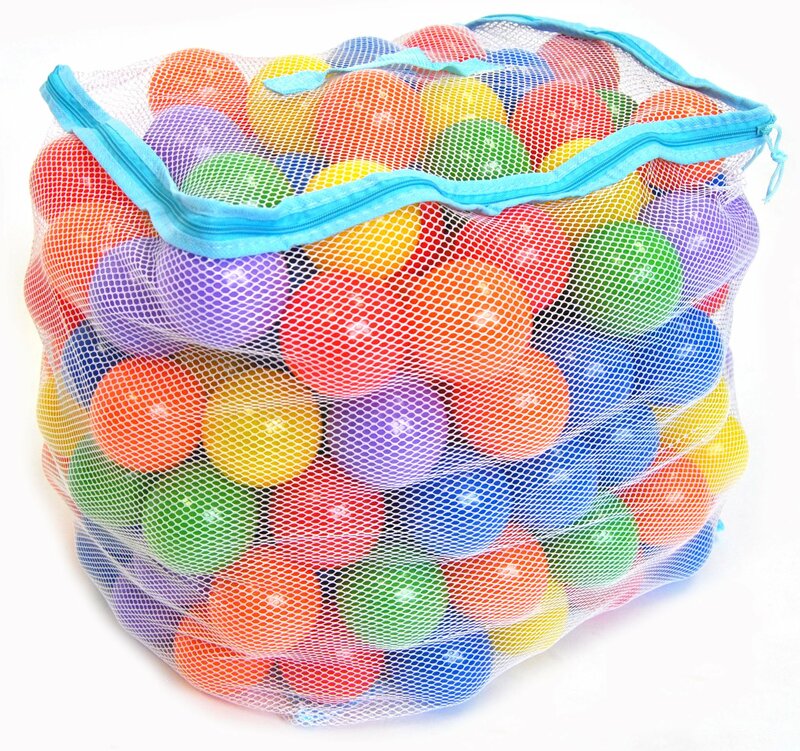 Set of 200 Wonder Playballs in 6 vibrant colors: Red, Orange, Yellow, Green, Blue and Purple. Comes with durable and environmentally safe mesh bag perfect for storage and portability. All other products are sold separately. We recommend 400 to 600 Wonder Playballs for most ball pits. Wonder Playballs are designed as a safe and non-toxic educational toy. Theypromote sensory learning, hand-eye coordination, color and countingrecognition, and motor skills. Studies have shown that children with earlydevelopmental toys have better chances to success in school.